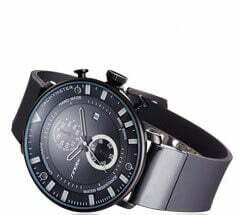 - High quality material --- The cool band is consists of premium 316L stainless steel which are polished by a number of processes and colored by vacuum plating. Hence it is more wear and corrosion-resisting, and will never get rusty. 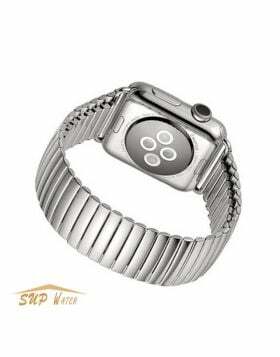 Compared to rubber band, this stainless steel watch band has better breathability and prevents you from allergy. - CLASSIC Butterfly Buckle: The buckle is made of solid stainless steel, also the clasp pin is enough stable and long, never worry about the middle pin in the buckle disengages easily. Secure your watch with impeccable yet unpretentious style. 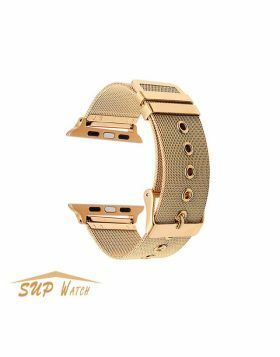 - An ideal watch band replacement that fits for Apple Watch Series 4, Apple Watch Series 3, Apple Watch Series 2 and Apple Watch Series 1.